Toronto Police are reporting that they arrested a man carrying a loaded pistol in the Lawrence and Weston Road area on Thursday. Sean Wright, 25, was approached by officers who saw him carrying a handgun. He fled but was arrested soon after. There was a struggle during the arrest, and Wright “attempted to remove his handgun”. Wright has been charged with 11 offenses, including assault, possession of a prohibited firearm, and possession of a firearm while prohibited. That he has been previously prohibited from possessing a firearm indicates that this was not Wright’s first run-in with the law. He was carrying a Glock 9mm, a powerful, high-quality pistol carried by many police officers. Toronto Police have located a missing Weston-area mother and son. Le-Ping He, 41, and Brandon Wong, 8, went missing on July 9. While the police did not release their home address, they were known to spend time in the Weston area. The mother and son were located on Thursday. The police thanked the public for helping to find the pair but released no other details. Police are trying to find Patrick Kirk Barrett, who is wanted for the murder of Lucita Charles. 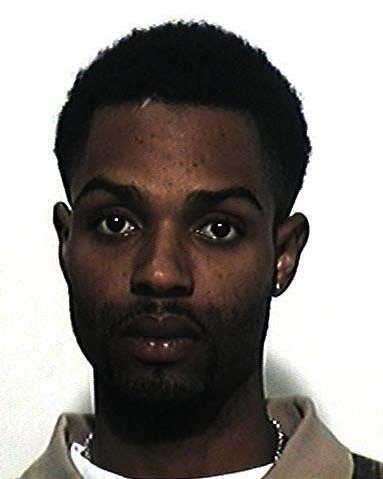 He is believed to have fled to Montreal. Charles lived just outside Weston and was stabbed to death Monday night. She had a 7-year-old boy with cerebral palsy. Her son is in the custody of Children’s Services. A young woman was murdered yesterday at 15 Harding Ave, just south of Jane and Lawrence. The woman, who has not yet been publicly identified, was in her 20s or 30s, and CBC Radio reports that she was the mother of a 6-year-old autistic boy. She may not have been a documented immigrant. The victim was found stabbed yesterday and died at the scene. The Star reports that a suspect is sought. The Toronto Star claims that a local gang (the “Five Point Generalz”) could be found at two local establishments, Mario Bros Restaurant and The Central Bar and Grill. The Five Point Generalz were swept up in a recent police bust, Project Corral. The gang was also recently involved in a violent turf war, the murder of a child (Efraim Brown), and the shooting of Shaquan Cadougan, 4.